found tremendous contrasts between old world tradition and the modernistic dimension that is preparing to welcome the world. Haro is a fairly easy 45-minute drive from Bilbao, easier with a GPS. 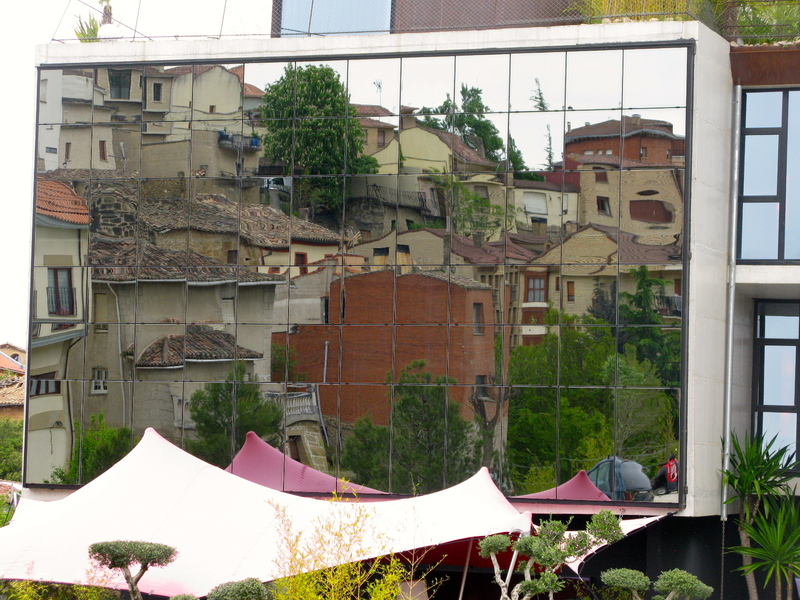 Like the region, its appeal as a tourist destination is broadening with nice restaurants, proximity to other Rioja villages and their local wine loop within walking distance from town. In lieu of the quaint Hotel Lagonstinos, we opted for a newly renovated apartment through Los Zapatos Morados (The Purple Shoes), hoping, after eight days on the road, for a washing machine. We found that and a delightful one-bedroom unit adjacent to restaurants, a fruit store and a cozy pintxos (tapas on a toothpick) bar with a welcome morning expresso. 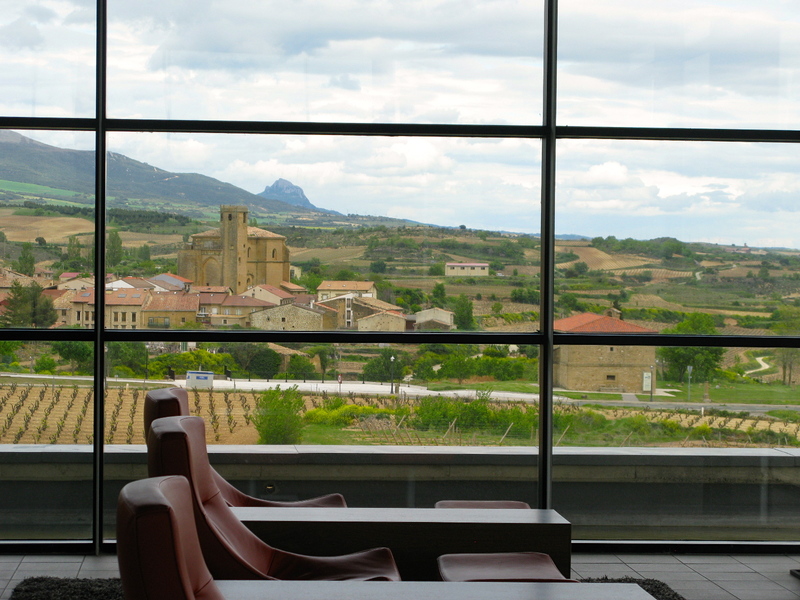 prominent white varietal of Rioja, Hotel Viura is an ultra-contemporary boutique hotel utilizing concrete and glass to mirror old world images back to the villagers. 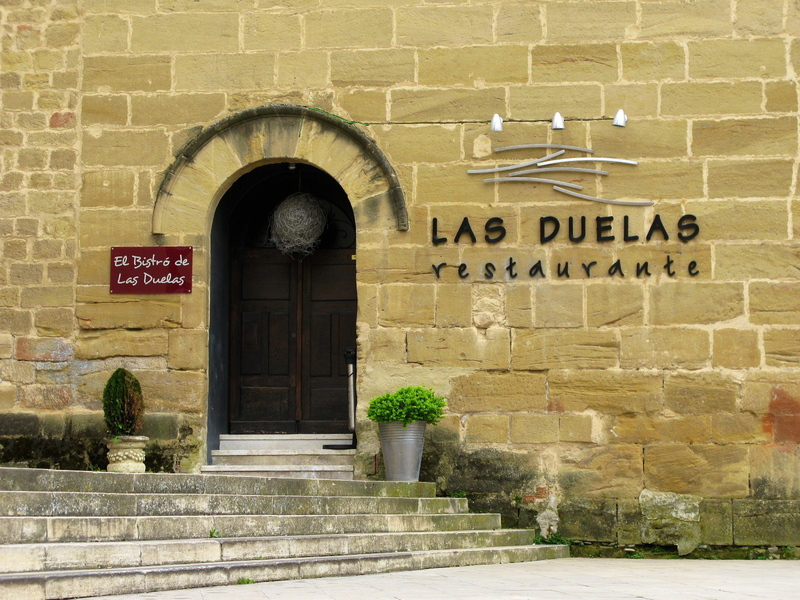 With 26 rooms, it provides privacy, luxury within 30 minutes of all the regions top bodegas. 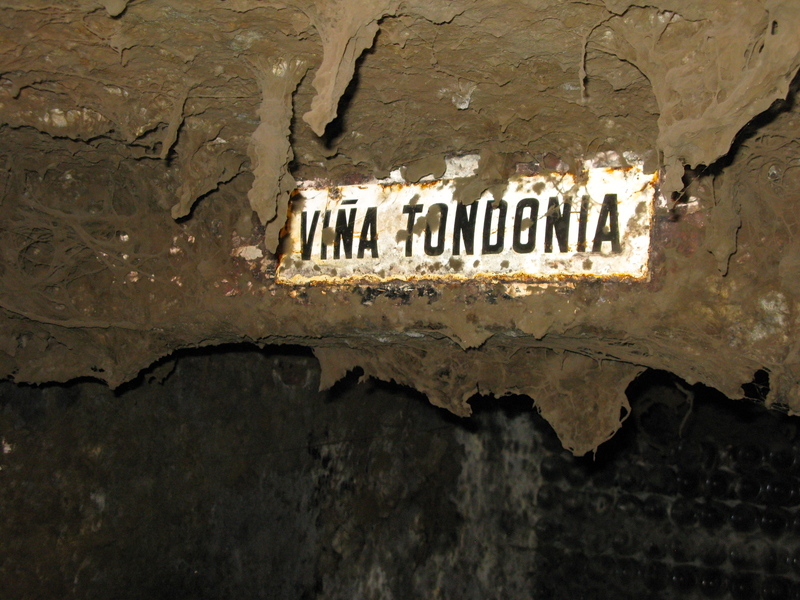 Closer to Haro, the R. Lopez de Heredia Vina Tondonia bodega, in its third century of winemaking, offered a look into how a relentless commitment to old school methods is managed in current times. I reached out and they responded with an invitation to tour the old cellars and taste some of their “young” wines. another example of the melding of new and old. The founder, Rafael Lopez de Heredia, a Chilean immigrant, built and started the winery in 1877 and began exporting wine to France. 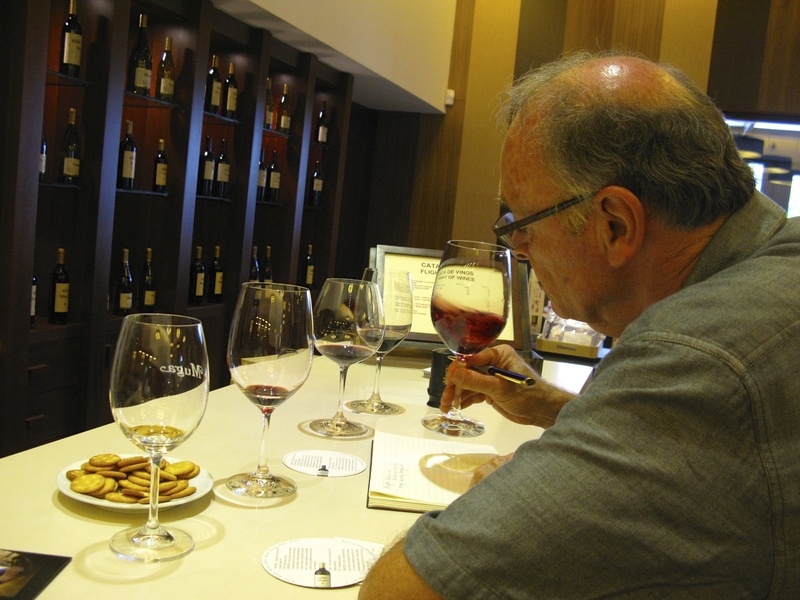 Soon after, he began making wine in Haro, under his own label and sold it throughout the region. Today, the 4th generation, brothers and sisters, led by Maria Jose Lopez de Heredia, are staunchly committed to the traditional Rioja style of winemaking influenced by their great-grandfather. The tradition includes making your own barrels and continuing to store the wines for lengthy periods in 130-150 year old large vats with enough yeast sleeping in their walls to properly enhance the fermentation. 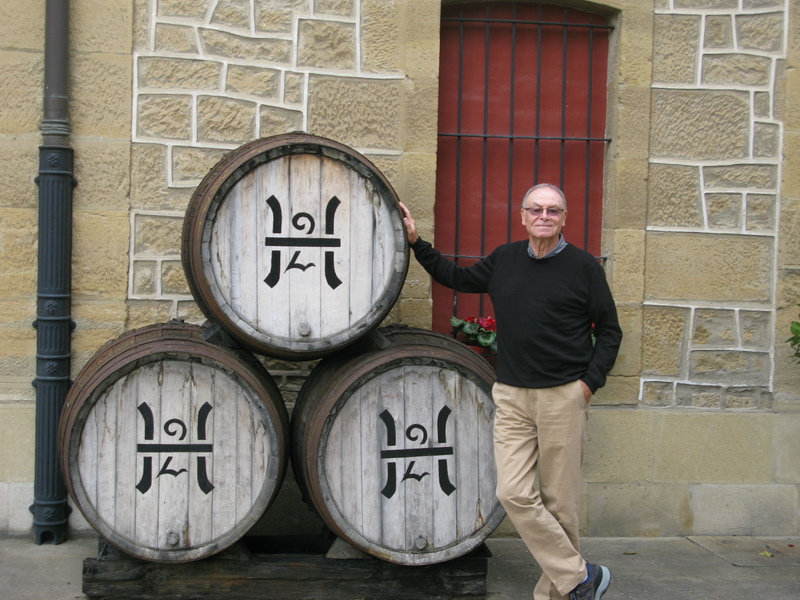 The tradition of R. Lopez de Heredia is also illustrated by their self-sufficiency. They have always made their own oak barrels and have used the vats since the beginning. All grapes are harvested by hand, and then put into self-made cone-shaped baskets, courtesy of the cooperage operation. As with most winemakers, R. Lopez de Heredia strongly believes that the wine is made in the vineyard and that subsequent viticulture is of little significance. 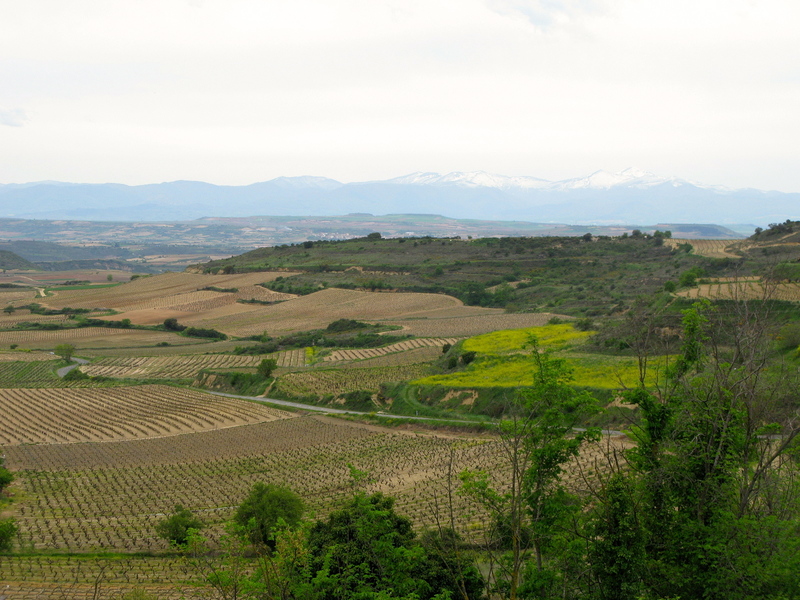 In these vineyards, most of the credit goes to the alluvial soils with high concentrations of limestone. 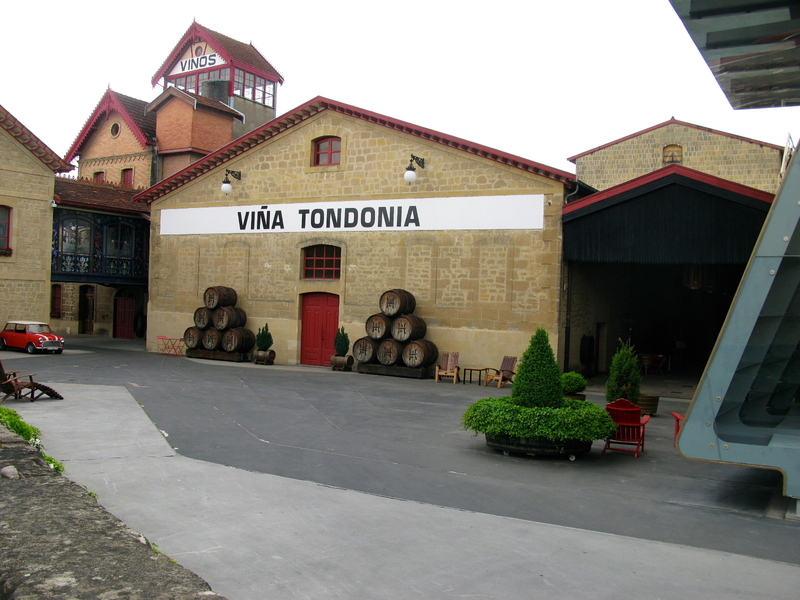 Consisting of 90% viura, the prominent Rioja white grape, the Vina Tondonia White 1998, exhibiting a deep, naturally golden color and soft, balanced flavors, the result of extensive aging and fining with fresh egg whites, a common technique used with Rioja wines. Introducing fresh eggs whites to the fermentation juice seems to naturally extract the sharp tannins from the reds and the acidity from the whites, allowing them to completely balance out their flavors while aging. This process seems similar to malolactic fermentation used in The U.S. The viura grape is fairly acidic. Adding 10% of the sweet malvasia grape, with extended aging and 1-2 fresh egg finings tames the juice into a fresh, full, acutely poised wine, understated in its elegance. Not sweet, not savory, but full-bodied enough to pair with spicy food and herbed mushrooms. Oddly, we were told that these whites remain drinkable for 20 years. aging process, it was released in 2011 and will remain on the shelves until the vintage is completely sold. After carrying my bottle for several days, I enjoyed it in Sevilla with an assortment of Spanish cheeses, fruits and breads. Walking the dark cellar caves, with pathways grooved for rolling barrels, racks and bottle cases covered in mold that serves as humidity control, my R. Lopez de Heredia winery visit and tasting was an experience, unique onto itself. They have never been about money, always about philosophy, culture and tradition. By contrast, neighboring Bodegas Muga S. L. produces arguably the most popular Spanish wine in the USA, exporting 60% of their total production to 54 countries, mostly our east coast and California. Within their more aggressive approach, Muga still constructs its own vats and lives by a standard of not releasing sub-standard vintages. blend had a nice acidity with floral notes while the red blend exhibited a smooth earthiness from bouquet through an extended finish. Reasonably priced, these are the wines that consumers will find on California wine lists. However, the last three reds definitely caught our attention. The Muga Reserva Seleccion Especial 2009, a traditional tempranillo blend, is aged 12 months in the barrel, more in the bottle before release. Although it will continue to develop, the wine has a profound earthiness surrounded by dark berries and herbs on the palate, evidence of the limestone in nearby soils. The last grapes to come into the winery after harvest are used for the Muga Prado Enea 2005 and the Torre Muga 2009 assuring the freshest for these premium tempranillo blends. By far, these wines displayed the most complex and rich flavors of any of the Muga current releases. 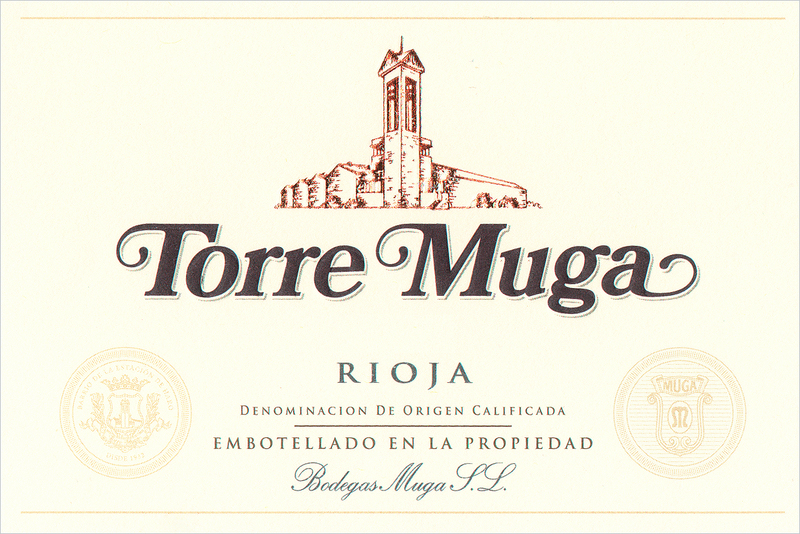 Aged 24 months in the barrel, 18 months in new French oak, then more in the bottle, the Torre Muga 2009 has a prominent, rich lusciousness while remaining in perfect balance. 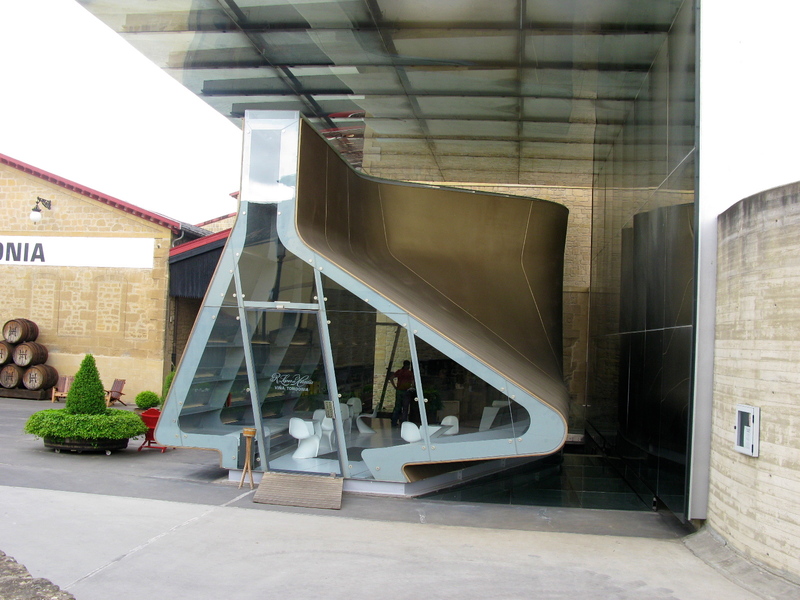 Priced at 40 euros at the winery, consumers can anticipate paying $65-70 per bottle on local shelves. the charming lobby of the Hotel Lagonstinos, a few steps from our apartment. In typical Spanish fashion, we arrived at 9:30 pm without a reservation and they were just setting up for the dinner crowd. We left at 11 pm and the place was buzzing. Rioja has given me a new appreciation of Spanish wines. Like the people, the wines are never rushed and the balance is always present. This entry was posted on Wednesday, June 12th, 2013 at 3:45 am	and posted in Wine. You can follow any responses to this entry through the RSS 2.0 feed.